From IXIT we wish you a happy new year! 2017 was pretty exciting for us. 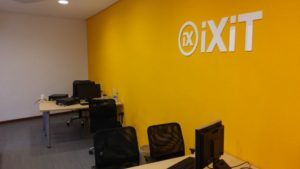 In January we moved to our new offices in the city center of Valencia. And a few months later we finished our new and current website. From a work perspective we started a period of consolidation in the development of Office 365 projects, as we have worked on several cloud solutions. We also have entered the Microsoft Cloud Service Provider program. As usual we still have developed many SharePoint solutions, the most exiting being the development of Master Data solution, that integrates directly with SAP, in order to manage Customer, Vendor and Material data for our biggest client: Schweppes. We are looking forward to starting 2018, with incoming SharePoint and Office 365 projects, and we expect to use more deeply some of the promising Microsoft tools like Flow and PowerApps. 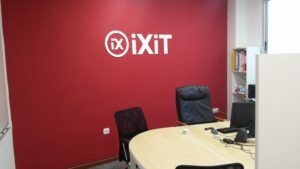 In April it will be the 5th anniversary of IXIT, it is not much comparing to other companies but we are very proud of it, since we started from scratch, with only tech profiles and limited resources.